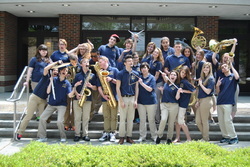 Platt High School Band - Check It Out! Great trip everyone! Share your trip memories here so we can put them all in a slide show! Or you can email your top five favorite pics to Mrs. Boates HERE! Good Practicing Advice! - READ THIS! The Most Valuable Lesson I've Learned About Practicing! Check out the "How to Accelerate Skill Development" half way down the page!!! Good advice! I will not post things here, just because. If I post them, that means that I feel they are worth reading. It is my hope that you will take something from it that is either interesting or helpful. Please try to take a few minutes to read/watch the things that I post here.